. إن Mercure Hotel Mildura حريص على توفير الراحة للنزلاء، فلا يوفر الموظفون جهداً في تقديم أفضل الخدمات وضمان حسن الاستقبال. يقدم الفندق فرصة للاستمتاع بشريحة واسعة من الخدمات بما فيها: مكتب الاستقبال على مدار الساعة, تسجيل وصول/خروج سريع, تخزين الأمتعة, صف السيارات, خدمة الغرف . استمتع بوسائل الراحة الراقية في الغرف أثناء إقامتك هنا. بعض الغرف تتضمن تلفزيون بشاشة مسطحة, حوض الاسترخاء, غرف لغير المدخنين, مكيف هواء, تدفئة لمساعدتك على استعادة طاقتك بعد يوم طويل. يقدم الفندق مجموعة رائعة من الخدمات كمثل تدليك, حديقة، لجعل إقامتك تجربة لا تنسى. اكتشف مزيجاً ساحراً من الخدمة الاحترافية والخيارات الواسعة من وسائل الراحة والمتعة في Mercure Hotel Mildura. Check in was very quick but then it went downhill. Lift was something out 19th century. VERY SCARY. Room was good but cleaning was poor. Shower was filthy and dirty towel was left in room from last guest. We rang for ice and wine glasses but are still waiting. Great location but that's where it ended. We arrived very late and tired from our trip but the receptionist was lovely and helpful. 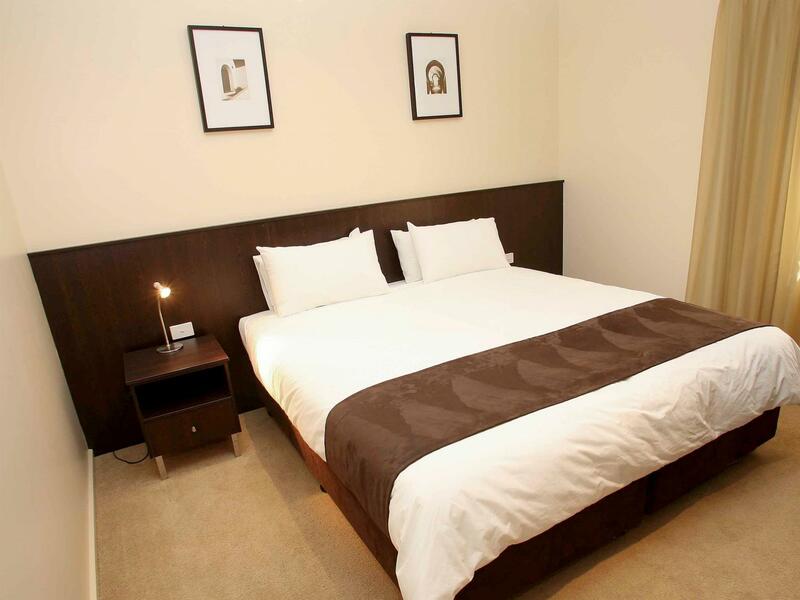 2 bedroom apartment was spacious and comfortable. Highly recommend. Was upgraded to one of the two bedroom suites so very much appreciated. Would stay again. Only stayed here one night....thank goodness! The lobby skunk, thank goodness the smell was less pungent up near our room. The noise coming from people coming and going, doors banging early in the morning was unbearably echoing through the entire room. I will not ever stay here again! Ample space however the great detractors were the scuffed furniture, loose bannister and scuffed stair case. We reported the foul smell near the pool, the pool was wonderful. Grateful for the efficient air conditioning. The room size is reasonable but I don't know why it has a very small window. Apart from this, everything is up to standard. Great place. Aircon worked well. Would stay again. Great location, friendly staff :) will stay again! Very clean & comfortable but very noisy! VERY noisy rooms with people on the streets & in hotel corridors!! Close to main town area and mall, walking distance to everything and the room very clean, nicely presented and the water pressure was awesome. We didn't eat at the hotel so can't comment on food. 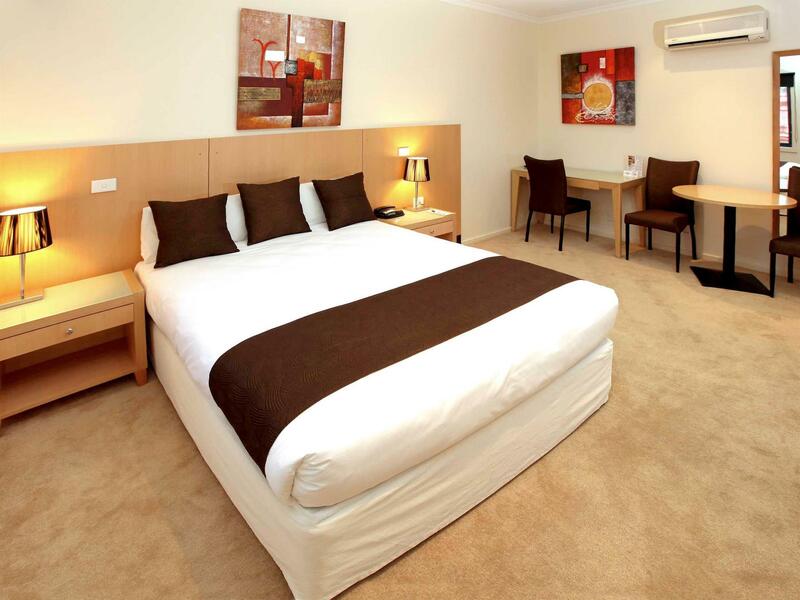 Would definitely stay again if in Mildura. 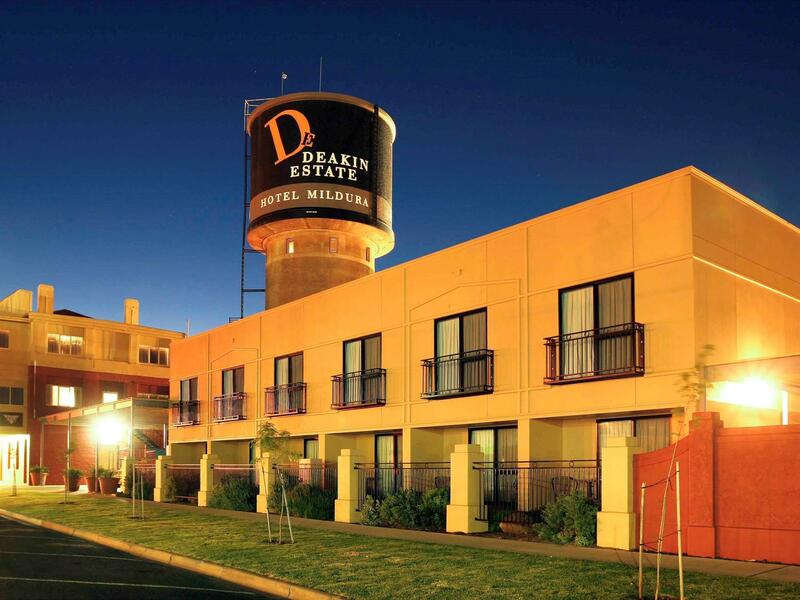 Our stay at the Mercure Mildura was disappointing. The room was spacious - we had a 2 bed apartment. It appeared clean but on closer inspection needed the chairs and carpets cleaned. Our main issue though was the lack of hot water having to take showers that were cold or luke warm at best. We had raised the issue with reception and they kept resetting the hot water but the issue was never resolved. We wanted to use the pool but did not as it was not clean - feathers, inspects and leaves. We would not recommend this home as it fell very short of a four star establishment. Receptionist polite and friendly. Room clean and tidy. Staff friendly, great location. Starting to become overpriced for Mildura though. Our room was very noisy (due to proximity to building air conditioning), with very small high windows, therefore no view and little natural light. Disappointing in comparison to usual Mercure standards.